In our final half-term before Christmas we looked at some very fascinating topics. After moving on from studying sound, we moved onto The Romans. We all found this extremely interesting and loved looking at things like Roman numerals, The Roman Army and The Celts. Whilst studying the Roman Army and the different ranks of the soldiers, we designed and made our own Roman helmets using paper mache. It got very messy but we were happy with the end result! During the October Half Term, we were set a special piece of homework. We were given the title 'The Romans' and told to come create/ make something that was completely up to us. We had some magnificent results including; sandals, a Colosseum, Roman shields/ swords and even a mosaic. You can look at some of our work below. This term our topic has been electricity! We've been very busy looking at electrical safety, appliances that use electricity and how to create electrical circuits. 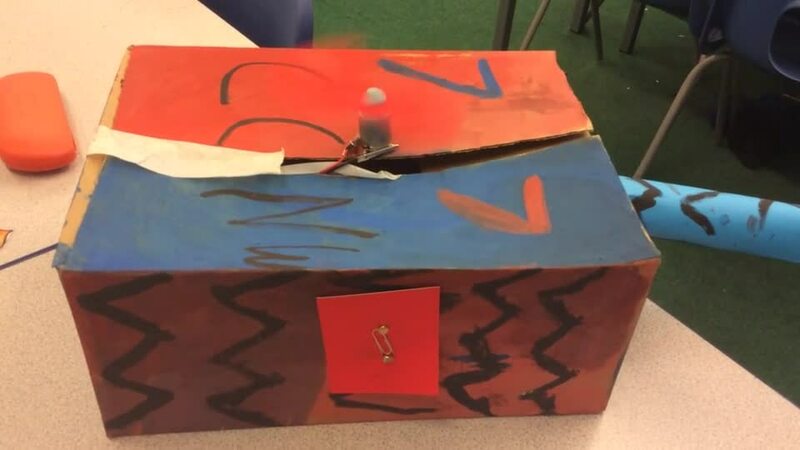 To begin with we started to create simple series circuits by making a light bulb work. We soon started to investigate further and create a working switch using a paper clip and push pins. On Thursday 4th October we celebrated World Poetry Day and for this we looked at a poem called 'Advice from a Caterpillar'. The poem is about a caterpillar who always dreamed of being a butterfly. The caterpillar advises us never to give up on our dreams because as the caterpillar says "For who you are has only just begun". After that we had a think about what we would like to do when we grow up, the result was our aspirations tree. I dared to dream I was a butterfly. then inched along the disappearing green. became a hundred times the size I’d been. And now I’m spinning silk to fix my spot. Outside remains. Inside I’m changing things. proboscis and antennae, four bright wings. So keep on clinging on, my ovoid one. For who you are has only just begun.